When presenting my current financial situation or giving quantitative examples about financial problems (whether as thought experiments or actual experiences) regular readers will have probably noted that I typically always try and talk in percentage terms rather than absolute numbers. Why do I do this? 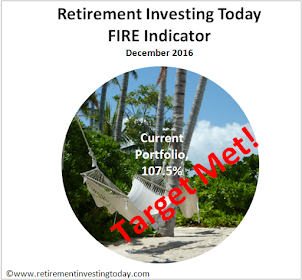 State that I have now accrued 62.5% of the wealth I need to Retire Early which requires a little more work. The calculation is simply £500,000 / £800,000 = 62.5%. I choose to present this way. So back to the original question, why only talk percentages rather than absolute numbers? Simply because every reader including myself is an individual with different earnings, wealth targets, wealth requirements, needs and wants. Therefore the fact that I have £500,000 currently invested is completely irrelevant to every reader but me. However some of the principles or theories that I or other readers valuably contribute via the Comments could be very relevant making it worthwhile to go off and conduct further research. What I have however found is that when I stray away from percentages the thought I’m trying to get across can be lost amongst the discussion about the numbers used. This happened again last week when I was trying to show how important I have personally found it is to Live Well Below Your Means. Instead of discussing the theory we ended up getting side tracked on whether someone could actually live on c£10k. Firstly Anonymous stated “Do you really think that’s possible for a single person?” and then Huw from Financially Free by Forty and snuffleupagus stated that they were both doing it. This then resulted in some challenges amongst readers which took us away from the point of the post itself. Question 1 asks what are your gross earnings? This should be your annual salary before tax and employee pension contributions are deducted. You should also include any bonuses that you typically receive. You shouldn't include any returns that come from your wealth. It also shouldn't include any salary from your better half. Question 2 asks what is your annual after tax spending? This was what caused last week’s brouhaha. This is simply calculated by taking your gross earnings from Q 1 and then subtracting the tax you pay, National Insurance you pay, any pension contributions you make from your salary (whether salary sacrificed or otherwise) and any additional savings made. Question 3 asks what is your annual savings rate? Firstly sum any employer pension contributions (not included in Q1 or Q2 as usually they can’t be added to salary or spent), pension contributions you make from your salary, contributions to ISA’s and any other savings which are being made for a long term goal (not necessarily financial independence or early retirement). Now divide this by your gross earnings from Q1 plus any employer pension contributions. If I've been unclear please drop a note in the Comments and I’ll try and clarify. I hope you choose to participate as the more that do the more interesting and significant the result. I've included the capital portion or mortgage repayments as part of my spending - this what you were expecting? Good point. We all have to live somewhere so capital portion of your home (not BTL) mortgage should be within spending as you've done. Why no 40-50k spending category? Thanks for highlighting. Now added. Unfortunately it's at the bottom of the list (poll package doesn't seem to allow you to reorder, only shuffle) so you may have to scroll down with the scroll bar. Either very loyal audience or... LIARS! What are your gross annual earnings? What is your annual after tax spending? I think it's a little early to make too many conclusions. We're not even 24 hours in yet. So far there have only been 241 page views (not surprising if the weather across the country has been as nice as I've experienced today) for 40 responses. If we can get to 1,500 page views then at that run rate we should get near 250 responses. It is however interesting to note that the most common savings rate is 31% to 40%. 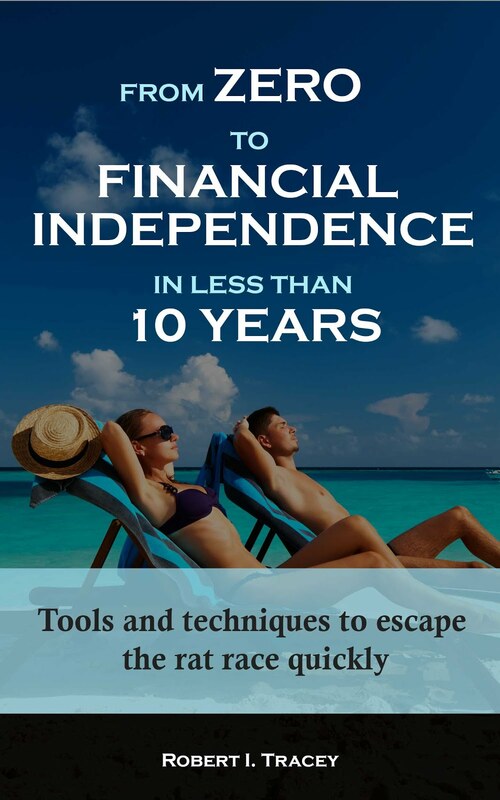 If our Jane were to follow that savings rate then financial independence would be looming in 17 to 24 years. At that time she'd be between 42 and 49 years of age. Only 4 of us (including me) so far have a savings rate of between 51% and 60%. Starting to make me feel a bit extreme about now... Although it certainly doesn't feel like it to me as my current spending rate is really in line with the needs of my better half. I can see a huge number of areas where I could personally spend less but I guess that's not what family life is all about. Well it looks like I'm very atypical. Earnings 10k-20k with savings 51 - 60%. It varies a lot though, mainly through income variations rather than spending. Ask again in a year! Shouldn't you include your income-from-wealth in annual gross salary? E.g. what is one is semi-retired, and earns roughly the same amount from wealth as from salary/bonus/etc? Isn't one's annual earnings then twice the salary/bonus? And if one spends all one's salary/bonus, but reinvests all the wealth income, then isn't the savings rate 50%? That is true. I stumbled upon how to classify trust funds and SIP contributions for my kids. Saving? Spending? I never felt poor before this survey! I thought I was doing a reasonable job of saving before this survey! Why include pension contributions in after tax spending? I'm not spending but investing the money. Tricky to add my personal details as my wife and I pool our earnings. We took a 27-month career break that ended in September 13 and are now very focused to give our jobs up permanently, this has resulted in a joint savings rate of over 70% and a target FI date at the end of 2017. We are in our late 40's have always avoided debt, paid off our mortgage very early and taken care to contribute to pensions all our working lives. We could be FI now if we downsized our house, but we love living in it and so accept that to stay put requires 3 more years work. I also see this as our additional financial security as if required we could down size. We our fortunate as we don't mind our jobs too much, just resent the hours! We will be 51 & 50 when we are FI and plan to have cash savings to cover the period to 55 when DC pension are accessible and then between 60 and 65 we are various small DB pensions that start to pay out. It makes for a very complicated spread sheet! Taking 27-months off means we know what our FI figure is and how we will spend the time.